India will adopt the General Anti-Avoidance Rules (GAAR) with effect from April 1, 2017. GAAR is an anti-avoidance regulation that allows tax authorities to deny tax benefits on transactions conducted with the purpose of avoiding taxes. 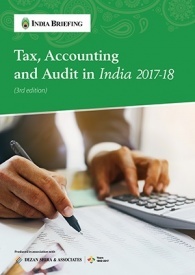 While tax avoidance regulation in India is currently governed by the Specific Anti-Avoidance Rules (SAAR), it was not considered comprehensive enough by the government, leading to the formulation of GAAR. However, SAAR regulations will continue to be applicable in addition to GAAR provisions: GAAR will cover those avoidance cases which fall short of SAAR regulations. Similar tax regulations exist across several countries to discourage tax avoidance practices. 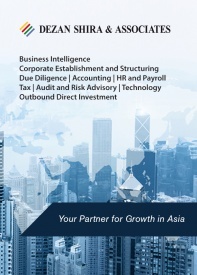 GAAR is applicable in Canada, China, South Africa, and Australia while SAAR exists in China and Australia to check the abuse of tax treaties and transfer pricing. 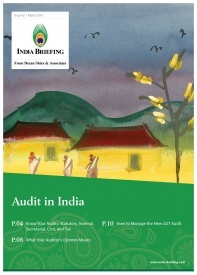 GAAR equips Indian tax authorities with the power to scrutinize any type of transaction that may be executed to avoid paying taxes via shell companies, tax haven countries, loopholes in tax laws, or other means. Before applying GAAR, the Principal Commissioner of Income Tax or Commissioner of Income Tax will vet the proposal, which is followed by the decision of an Approving Panel headed by a High Court judge. GAAR will not be applicable on income arising from the transfer of investments done before April 1, 2017. Are there any exemptions for GAAR? The government has clarified that GAAR does not seek to discourage investors, nor will it interfere with the right of the taxpayer to select a method of implementing a transaction. Also, the taxpayer’s residency in a tax friendly jurisdiction with taxes lower than India will never be the sole reason for tax authorities to apply GAAR norms. With respect to tax treaties, if any case is already addressed in the Limitation of Benefits (LOB) clause in the treaty, GAAR will not be invoked. LOB states the conditions that allow benefits in a double taxation avoidance agreement (DTAA). For example, GAAR will not override treaties with Mauritius and Singapore as both have LOB clauses, while agreements with Cyprus and Netherlands will come under the GAAR scope as they do not have an LOB provision. Who will be affected by GAAR? 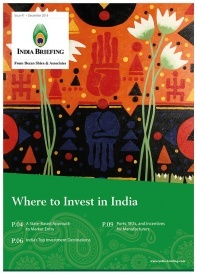 GAAR will affect Foreign Portfolio Investors (FPIs) investing in India through countries with lower tax rates. Earlier, around 80 percent of FPI investments came from Mauritius and Singapore, allowing investors to avail tax benefits. This led India to amend its tax treaties with both countries, only allowing investments held before April 1, 2017 to avail treaty benefits without invoking GAAR. Both treaties allow a two-year transition period wherein the tax rate will be only 50 percent of the prescribed rates. From the financial year 2019-2020, the full domestic rates will be applied. Investors believe GAAR will not have a significant effect on portfolio investments as they have sufficient time to adjust to the regulation and change their investment methods. In anticipation of GAAR, many investors have begun using alternate investment routes, such as through the US and Luxembourg, while equity investments from Mauritius declined in 2016. Hedge funds and exchange traded funds (ETFs) investing in India have also begun to adapt their practices in anticipation of GAAR. Media reports indicate that hedge funds and ETFs have advised investors to invest now to avail the GAAR exemption window, which expires on March 31, 2017. Finally, GAAR provides tax authorities a legal framework to address indirect transfer issues. However, several observers in the private sector feel the government should provide further clarity on the scope of this legal framework as they fear it grants arbitrary powers to tax authorities. Following their victory in the 2014 election on the back of widespread anti-corruption sentiment, the government has steadily sought to close tax loopholes and encourage tax compliance. 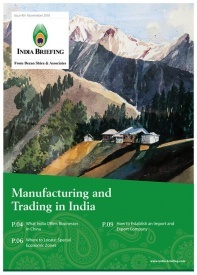 The government’s adoption of the Organisation for Economic Co-operation and Development’s (OECD) Base Erosion and Profit Shifting (BEPS) Action Plan, treaty amendments, Common Reporting Standard (CRS), the Benami Property Act, Automatic Exchange of Information (AEOI), Place of Effective Management (POEM) norms, and GAAR hopes to effectively address the issue of tax evasion and avoidance.